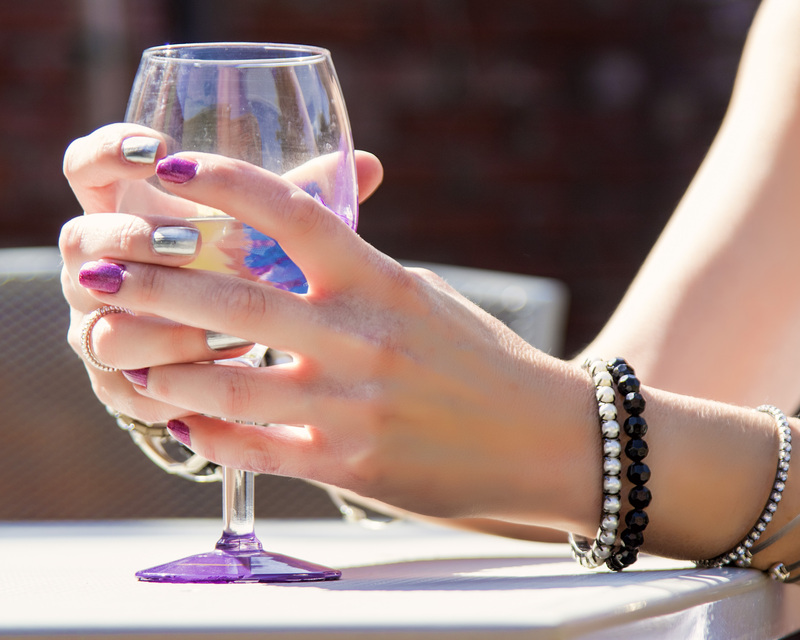 Paint on some serious color with Layla Cosmetics Nail Polish. As one of the top brands of nail polishes, Layla delivers unmatched style and some very cool “special effects”. It is nail art that even I can do. (My expertise is a traditional, plain manicure). I’ve always been a DIY-er – opting to giving myself an at-home manicure. It’s easy, fast and convenient, and I don’t have to make an appointment or wait in line. I have started seeing these really fun pics of nails with funky designs or shimmers on Pinterest. I think to myself, I can’t do that but with Layla, I can! Layla’s Hologram Effect in Purple Illusion and Mirror Effect in Metal Chrome. I tried two different polishes…the Hologram Effect in Purple Illusion and the Mirror Effect in Metal Chrome. I was a little nervous (ha), but how bad could I screw up? And isn’t that what nail polish remover is for? So, you start with bare nails, and it is recommended to not apply a base coat. Then, if you choose to get the Base File, that’s the next step. I used it and think it does give better results. You file the entire nail bed with the colored side then buff it to a shine with the white side. Paint on the polish (I did two coats). And, viola – beautiful, vibrant, kinda awesome nails. I would normally put on a quick drying top coat to speed up dry time. Well, it is not needed with these polishes. Wow, do they dry fast! The Purple Illusion is a little less purple and little more of magenta, and compliments my fair skin great. I think it is a good color for any season. The hologram effect was most noticeable to me outside in the sun. The Metal Chrome is hot for a night out or special occasion. 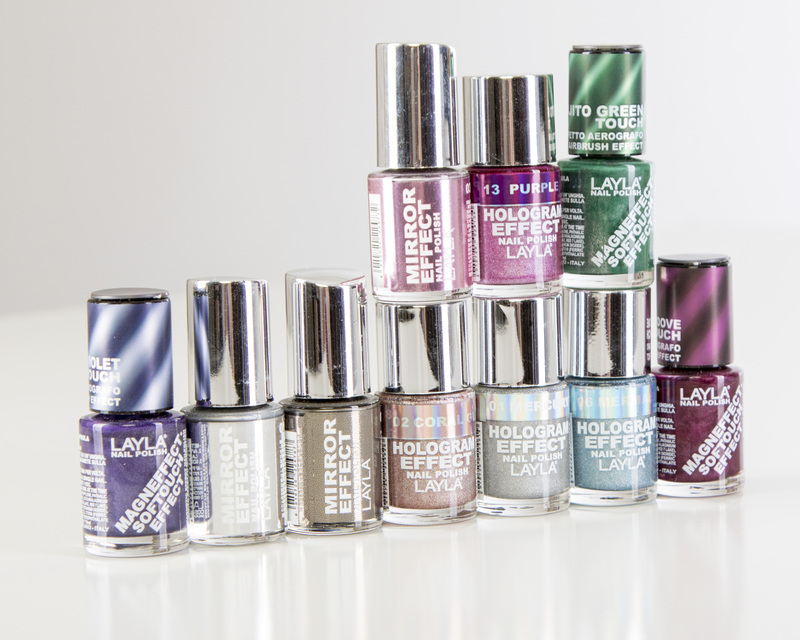 Check out the entire Layla nail polish collection. Next up to try are the Ceramic Effect, Gel Effect, Magneffect Softouch Effect and Caviar Effect. I think there is a “have the girls over nail party” in my near future. What fun this polish is! Layla nailed it. Do you have a favorite color or effect in this line? I’d love to know… Share in the comments. This entry was posted in nail lacquer, nail polish and tagged ceramic, gel, hologram, mirror, nail art, special effect nails. Bookmark the permalink.